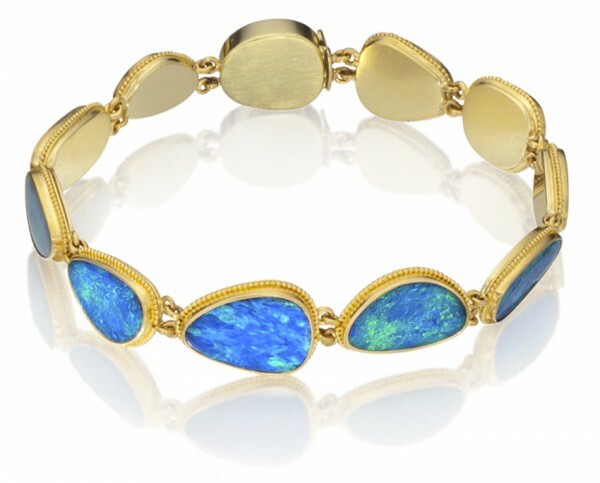 22k gold and 18K gold featuring ten Australian opals ranging in size from 6.5 x 11mm to 11 x 14.6mm. The bracelet has a length of 7 1/4” and closes with a box clasp. This piece may be reproduced in other sizes.